A financial planner should talk about his or her planning process and not about hot stocks or unusual investments. If a prospective financial planner says he or she can beat the market and promises big investment returns, end the meeting. Nobody can predict market movements. A good financial planner will make sure you are well-diversified, so you can limit risk and maximize returns. As the financial planner explains his or her philosophy, ask yourself: Are you being coached or sold to? And get a feel for how rushed the financial planner is. If he or she does not have time to attract you as a client, the financial planner might not have time for you after you become one. Finally, note the words and tone he or she is using. Is he or she speaking in financial jargon, knowing you don’t understand? It actually takes greater skill and knowledge to explain things simply. Never agree to an investment you don’t understand. If you cannot explain it to your teenage child or your elderly mother, don’t do it. This is a great rule because it can keep you out of the harm’s way. That is not to say you shouldn’t endeavor to learn more about finance basics. You shouldn’t shy away from stock mutual funds because you are not quite certain what they are. There are many good resources for investing basics, including books and web sites. DO CREDIT events get your mind boggling, and do structured deposits send your head spinning? Well, help is at hand in the form of a financial products dictionary that aims to shed light on the notorious jargon that so annoys investors. The online dictionary is being launched by the Financial Planning Association of Singapore (FPAS) and will be available in English and Chinese in October. It will give consumers a better understanding of financial products so they can make informed investment decisions, said FPAS president James Sim at the association's Chinese New Year charity lunch yesterday. More than 10,000 investors lost money when a number of structured products were terminated, along with the collapse of United States investment bank Lehman Brothers in 2008. Investors, including many elderly and poorly educated people, said the risks of the complex products were never clearly explained. Some were subsequently compensated for their losses. Separately, FPAS yesterday announced the results of an inaugural survey of 387 financial planners here. About 71 per cent of respondents were optimistic that their financial planning business will improve in the next six months. The survey also found that 31 per cent of planners felt it was a challenge to persuade customers to do financial planning, while 26 per cent felt the process was easy. PRIME Minister Lee Hsien Loong yesterday urged Singaporeans to treasure their homes and not use them as an easy means to make a quick buck or settle a debt. He disclosed that MPs have been approached by many residents who have sold their homes for cash to pay off loans or make purchases. 'They have a problem finding another home or getting a loan to buy another home...it is not easy to solve the problem,' he said, in a speech underlining the importance of treating a residential property as a long-term investment. 'Property is for people to buy to live in, not for speculating,' he said. 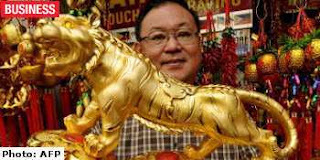 His remarks, in Mandarin and English, at a Chinese New Year dinner last night came two days after the Government made a surprise announcement to cool property speculation. Mr Lee stressed that the Government cannot control property prices. 'But we can apply measures to try to guide it in a broad way, so that if it is getting carried away, we can pull it back a bit,' he added. The measures announced last Friday include the introduction of stamp duty on those who sell their residential property within a year of buying it. The duty is around 3 per cent of the price. Also, buyers can borrow only up to 80 per cent, not 90 per cent, of their property's value from a financial institution. Mr Lee said these measures were a pre-emptive move. Prices have risen sharply in the last six months, he noted. 'While it has not yet reached a dangerous level... the trend has been so fast, and the mood so exuberant, that we are worried it will get carried away beyond what is wise,' he told about 1,300 Ang Mo Kio GRC residents attending the dinner at his Teck Ghee constituency. 'It is better to pre-empt a bubble than wait for it to get serious and have to take more drastic measures,' he said, assuring Singaporeans that his government's priority is to ensure homes remain affordable. At the other extreme, falling home prices is undesirable for the many Singaporeans who own their homes, he added. A home, an appreciating asset in Singapore, is a nest-egg, said Mr Lee. 'Please take good care of it. It's for you to live in, it's for you as an investment, it's for you for your old age. 'Don't think of selling prematurely to make a quick buck,' he advised. Mr Lee then reiterated his worry that not enough Singaporeans are starting families. Total fertility rate last year hit a new low of 1.23. For the Chinese community here, it was even lower at 1.09. But falling birth rate is an issue faced by East Asian countries, he noted, and it is partly a result of changing values. In China, young people, to avoid nagging from their parents, have resorted to 'renting' a boyfriend or girlfriend to take home during this new year period, Mr Lee observed. 'It's amusing, but it's also sad,' he said. 'I'm relieved there's no such reports in Singapore. I hope it doesn't happen.' Still, a little social pressure is useful but more importantly, parents and relatives need to encourage them and show them support. Unmarried residents interviewed said they first needed to save enough and have a stable career before settling down and starting a family. He and his 25-year-old girlfriend want to buy a flat in Ang Mo Kio, near his parents, but he is not confident he can find one within his budget of around $300,000. Teacher D. George, 32, welcomed the latest anti-speculation measures but argued that these will not have a major impact on rising HDB prices. China as the world's fasting growing major economy will do 'very well this century'. But there is no way you can go on for a decade without having a bump in the business cycle. China will have a financial crisis one day and land is the "best bet" to cause China's bubble to pop. Poverty exposes you to endless humiliation, it cuts your wings, it eats your soul like a cancer. It is not wealth one ask for, but just enough to preserve one’s dignity, to work unhampered, to be generous, frank and independent. Most of Singaporeans aged 50 and above will receive a one-off top-up to their CPF Medisave accounts. Only those whose annual assessable incomes above $100,000 in the 2009 tax year will not be eligible. What do a scalpel and a life insurance policy have in common? Both are tools. A scalpel in the wrong hands can be lethal, yet in the hands of an experienced surgeon, it can save lives. So is it with a life insurance policy. In the hands of an experienced financial planner it should perform exactly as expected by delivering the right money at the right time to the right people and save the financial lives of the intended beneficiaries. When a client told me his bank manager advised against life insurance I recommended, I asked him, “Would you allow an anesthetist to comment to your patient on the advisability of a hernia operation?” Of course not. He has a specialist area of expertise. Similarly, the bank manager is experienced at lending money, not at life insurance. Learn the basics about long-term care insurance in a flash. Hear from one advisor who will explain why long-term care insurance is so important, help demystify the long-term care insurance process and quickly provide you with a good understanding of important insurance terms and concepts. A recent survey found out that majority of Singaporeans are not relying on the CPF savings as their only source of retirement income as they believe that CPF will provide only some or very little of their retirement income. An alarming 52% of people do not know how much they will need for their retirement years. Emergency cash reserves should be set aside first before you begin investment in equities for wealth accumulation. Investors are reminded to protect your current assets by ensuring you have appropriate insurance protection to hedge against liabilities, such as home loans. Proper insurance protection can also prevent money from your investment or savings going to the surgeon’s income when misfortunes happen. For people before the age of 40, time is generally on your side as your investment horizon is easily more than 10 years which allows you to be able to ride the market ups and downs. For people before the age of 60, the risk which you are taking will be moderate as retirement is not far away. There is a need to stay invested to recover losses if investment took a beating in the previous crisis; however it is important to move towards safer assets as you approach retirement. Reduce your debt and limit your spending by keeping track of your expenses to make sure you are not living beyond your means. Your life is uniquely yours. Full of people you love, and activities you enjoy. It's a lifestyle you've worked hard to create and you've taken steps to protect it. When you think about your life, you may never picture a disability. Disability can be caused by an accident. But it is more likely to be caused by a common illness such as heart disease, back problems, diabetes, depression. So when you are making financial plans, ask yourself what matters most. It's your life, Plan It. Protect it. Share it. Enjoy it. Disagreements and conflicts on money issues can break a couple up. So do iron out any potential money issues even before they get hitched. LIFE Foundation produces several videos each year. These videos feature stories of individuals who have overcome hardships by owning life insurance. Are you on top of your financial situation? Are you and your spouse adequately covered by life and medical insurance? How much debt are your carrying? What type of savings or investments do you have to carry you over if you encounter tough times? If you cannot answer these questions, you are tempting fate. 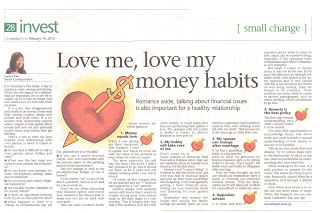 Promise yourself you will sit down this weekend with your spouse, or with a financial planner if you are on your own, and discuss all aspects of your financial health. The situation is not about you. It is about your children and their quality of life if something happens. It is not being morbid, it is being financial responsible. Establish a plan so you can sleep at night knowing that you and your family will be provided for if your income is cut off if misfortune happens. Don’t wait until your financial DNA has to be put on life support. PATIENTS who want to use Medisave to pay for private medical care abroad can do so at 12 hospitals and medical centres in Malaysia from March 1, 2010. The facilities are owned by two Singapore health-care groups - Health Management International (HMI) and Parkway Holdings. Patients who opt for the Malaysian hospitals must be referred by the Singapore groups' referral centres first. SINGAPORE residents will be able to use their Medisave to help pay for their hospitalisation overseas under certain conditions from March 1, the Ministry of Health announced on Wednesday. Currently, they can only do so for emergency hospitalisation. The move follows a dialogue with NTUC union leaders, who had asked for the scheme to be extended to elective hospitalisation overseas, to give patients a wider choice and allow them to take advantage of the lower cost of hospitalisation overseas. 'MOH has studied the suggestion. Our concern is quality of care and potential abuses, both of which will not be in the patients' interest. We have decided to try it out,' said a statement from MOH. * Medisave usage will only be limited to hospitalisations and day surgeries, meaning it cannot be used for outpatient treatment. * The overseas hospital must have an approved working arrangement with a Medisave-accredited institution or referral centre in Singapore. * The patient must be referred through a Medisave-accredited institution/referral centre in Singapore. * The local centre must provide pre-admission clinical assessment and financial counselling to the interested patient. * The local centre will be accountable for patient satisfaction and the clinical outcome. MOH said the scheme will start off with two providers: Health Management International (HMI) and Parkway Holdings. HMI has set up its local Medisave-accredited referrel centre at its Balestier Clinic and Health Screening Centre. It will work with its two overseas subsidiaries: Regency Specialist Hospital in Johor Bahru and Makhota Medical Centre in Malacca. Parkway Holdings has set up a Medisave-accredited referral centre at East Shore Hospital. 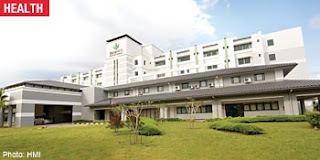 It will partner nine hospitals under the Pantai group in different states of Malaysia, as well as the Gleneagles Intan Medical Centre, Kuala Lumpur. Patients interested in making use of this scheme may approach the two healthcare providers directly. Confidence will be there if you buy quality stocks and will not be tempted to sell when market suddenly dips. 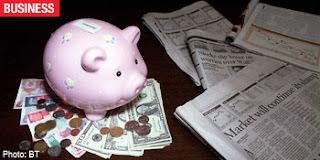 Savings is the start of wealth building as no money means nothing for investment which equals to nothing for retirement. Live below your means (Being thrifty) as it is a common trait among successful businessmen. With banks paying just 0.125% interest on savings. You might want to look into other options after the rainy day funds has been set up (At least 3 mths of expenses for singles & 6 mths for married couples). IF YOU are an investor who likes a smooth ride with little volatility, it might pay to sit out the next 12 months. That's because riding the Golden Tiger is anything but smooth. Don't take our word for it. The wand bearers at CLSA Securities in Hong Kong have been crystal-ball gazing to compile their annual Fengshui Index on what lies ahead. In short, it looks rough - and history, after all, is on their side. They warn that the typically tumultuous Tiger years are not for the faint-hearted. Stock markets tanked in 1962 and 1998, the year of the Water Tiger and Earth Tiger respectively, then-US President Richard Nixon resigned over Watergate in 1974, and August 1998 marked the start of the Russian financial crisis. But if you are armed with courage and conviction, opportunities abound, according to the CLSA gurus - who have nailed some trends previously but would readily admit that the tongue-in-cheek index has not always proved reliable. Recall that some of their predictions for the Year of the Earth Ox last year were right on the money: Gold surged past US$1,000 an ounce and the market bottomed despite bearish sentiment at the start of last year. With that in mind, note that metal is this Tiger Year's heavenly stem, so commodities of all stripes, particularly non-ferrous ones, should shine. Gold looks set for another great run with prices likely to break through the US$2,000 an ounce barrier after a mid-year rally. Silver is also expected to enjoy a spectacular run-up during the second half. While the future looks bright for metals, avoid sectors with the 'Water' element: Shipping, airlines, logistics and autos are all likely to hit bumps ahead. But 'Wood' - pulp and paper, clothing and pharmaceuticals - will be fruitful. It's all about timing, of course, but as the CLSA pundits point out, that will be hard to judge as the year ahead will be volatile with roller-coaster rides week to week and even day to day. This first month of the Chinese calendar, which is the month of the Wood Tiger, will alone deliver plenty of fireworks. There will be fantastic opportunities in the stock market for the sharp and quick-footed. As a rule, keep your head down and your eyes open. And the choppy waters will keep roiling until May, so the stock market adage, 'Sell in May and go away', might have more resonance this year. The CLSA index predicts market volatility with an overall downward trend before an uptick in June. But fret not, says the guide. Investors seeking solid value and sound fundamentals should have some pretty pickings to choose from in June and July following the earlier upheaval. But be warned, the window of opportunity will shut fast with markets expected to head south again in August. That said, when the going gets tough, the bargain hunters go shopping. September marks the beginning of what looks to be a string of positive months to round off this year, with October looming as one of the best this year. Mark your calendars this year for Nov 17 and Dec 8, and Jan 16 next year, as these are regarded as especially auspicious dates. There should also be a good bit of bounce left in the bourse before the bonny Year of the Rabbit hops into action. In case the CLSA deep-thinkers were not far enough out on a limb, they have also divined that in fengshui terms, ace investor Warren Buffett - worth US$37 billion (S$52 billion) - is only now about to enter the most financially lucky period of his life. All the signs point to the year ahead being one of his smoothest, although the 'Oracle of Omaha' is also advised to defer any new ventures until the final months as autumn's chill winds carry the danger of costly investment decisions. Where that leaves the rest of us, who really knows. Gong Xi Fa Cai. And may you see roaring success as you ride out the Tiger. A new study finds that more than 60% of personal bankruptcies in the United States in 2007 were caused by health-care costs associated with a major illness. That's a 50% increase in the number of bankruptcies blamed on medical expenses since a similar study in 2001. In an article published in the August 2009 issue of the American Journal of Medicine, the results of the first-ever national random-sample survey of bankruptcy filers shows that illnesses and medical bills contribute to a large and increasing share of bankruptcies. Harvard Medical School researcher David U. Himmelstein, M.D. says "Middle class families frequently collapse under the strain of a health care system that treats physical wounds, but often inflicts fiscal ones." The study found that in 2007, before the current economic downturn, an American family filed for bankruptcy in the aftermath of illness every 90 seconds; three-quarters of them were insured. Over 60% of all bankruptcies in the United States in 2007 were driven by medical incidents. Following up on a 2001 study in five states, where medical problems contributed to at least 46.2% of all bankruptcies, researchers from Cambridge Hospital/Harvard Medical School, Harvard Law School and Ohio University surveyed a random national sample of 2,314 bankruptcy filers in 2007, abstracted their court records, and interviewed 1,032 of them. They designated bankruptcies as "medical" based on debtors' stated reasons for filing, income loss due to illness and the magnitude of their medical debts. Using identical definitions in 2001 and 2007, the share of bankruptcies attributable to medical problems rose by 49.6%. The odds that a bankruptcy had a medical cause were 2.38 fold higher in 2007 than in 2001. According to the study, a number of circumstances propelled many middle-class, insured Americans into bankruptcy. For 92% of the medically bankrupt, high medical bills directly contributed to their bankruptcy. Many families with continuous coverage found themselves under-insured, responsible for thousands of dollars in out-of-pocket costs. Out-of-pocket medical costs averaged $17,943 for all medically bankrupt families: $26,971 for uninsured patients; $17,749 for those with private insurance at the outset; $14,633 for those with Medicaid; $12,021 for those with Medicare; and $6,545 for those with VA/military coverage. For patients who initially had private coverage but lost it, the family's out-of-pocket expenses averaged $22,568. Because almost all insurance is linked to employment, a medical event can trigger loss of coverage. Nationally, a quarter of firms cancel coverage immediately when an employee suffers a disabling illness; another quarter does so within a year. Income loss due to illness was also common, but nearly always coupled with high medical bills. Thai Insurance Commercial - "Daddy"
Last Thursday was Children's Day and a timely reminder to parents to review plans for funding that most crucial investment: their children's university education. One important question: Are savings targets that parents may have set in the good times still achievable given that we are still stumbling out of this economic crisis? Parents should take stock to evaluate where their investments are heading, and to re-think their strategies and their risk appetites. It is important not to let the financial turmoil cause a knee-jerk reaction and discourage you from investing. 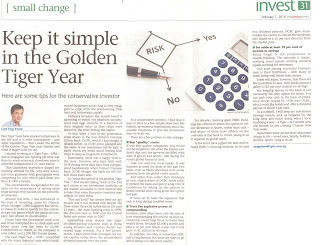 Still, parents who wish to switch to less risky products must be prepared to cough out higher investment sums in order to achieve their investment goals, cautions OCBC Bank's vice-president of wealth management Singapore, Ms Anne Tay. For parents who have yet to start planning and for new parents, this is a reminder not to underestimate the importance of thinking ahead and saving early. Where do you intend to send your child or children for tertiary education? Will it be local or overseas? Is it likely to be a medical course of study? Typically, these are costlier than other courses. If you plan to send your child overseas for his tertiary education, which is the most likely country? Parents should bear in mind the exchange rate movement between Singapore and the intended country of study. Popular destinations include Australia, Britain and the United States. If time is on your side and you do not anticipate sending your children to university for another 10 years or so, then there is no real reason for any panic, said Mr Brian Goh, senior vice-president and adviser with ipac financial planning Singapore. Still, you should work out the shortfall between your current investments and the projected education costs when your children are ready for university enrolment. Relook your long-term financial plans, such as your retirement funding, and assess if they need amending. Ways of plugging any gaps include: deferring your retirement for a few years, setting aside more savings towards your child's future education or buying additional investment plans. If one of your funding options involves investment in insurance endowment plans, the projected maturity values may have changed, no thanks to the weaker investment climate. This means that any projected shortfall, if significant, would have to be made up by additional savings, said Mr Albert Lam, investment director at IPP Financial Advisers. Mr Lam and Mr Ben Fok, chief executive of Grandtag Financial Consultancy, emphasised that while parents can afford to be aggressive in the first 10 to 15 years, you should gradually reduce exposure to equities and switch to bonds, or even cash, five years before you need the money. Doing so will help preserve the wealth that has been accumulated in the earlier years and protect the plan from short-term market volatility which can undermine the meeting of financial goals. In the past few months, equity markets have made a remarkable recovery. Some parents who suffered a shortfall in meeting their savings goals may be tempted to jump on the bandwagon to 'top up' their investments so as to fulfil those goals. However, both Mr Lam and Mr Fok urge caution. Who knows when the markets might suffer a major correction again? Parents with more than five years before the money is required for their children's education should pump cash into the markets in a measured fashion via a regular savings plan, which would help to smooth out the volatility, they advised. Instead of sending your child abroad, Mr Goh suggests that parents consider local universities or overseas varsities with campuses here. He explained that the tuition fees are considerably lower. In addition, one does not have to incur expenses such as paying for lodgings and return flights home. In recent years, Singapore has gained a strong reputation as an educational hub with a range of degree courses to choose from, some of which attract high demand. Parents with children who are very close to university-going age and are keen on an overseas education may consider countries where the currencies have fallen, relative to the Singapore dollar, suggested Ms Tay. For example, the US dollar and British pound have fallen quite substantially against the Singapore dollar. 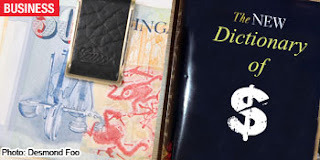 One US dollar is now about S$1.40 and one British pound is now about S$2.25. 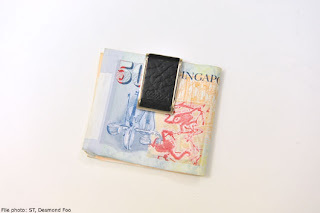 Another tip from Ms Tay is to constantly monitor the exchange rate between Singapore and the country where you intend to send your child for studies. This would ensure that you remain on track in building up the reserves or funds for your child's overseas education. Parents should also look out for opportunities to build up their funds in the foreign country's currency. For example, before the current economic downturn, one Australian dollar cost S$1.30. But at the height of the turmoil, the currency was trading very close to parity with the Sing dollar. 'For parents who have not budgeted enough funds for their child's overseas education, they could leverage on such window of opportunity to build up their Australian funds. 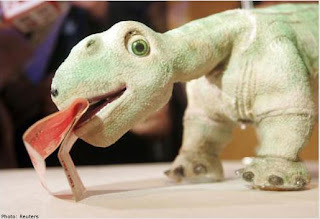 Now the Australian dollar is trading at $1.25, which has risen 25 per cent,' said Ms Tay. The Central Provident Fund Board, universities as well as some banks, like OCBC, provide study loans, so you should do a check before settling for one. There are also scholarships and bursaries that your child can apply for, said Mr Goh. The National University of Singapore's website has a list of some of these scholarships and bursaries. Scholarships typically cover 80 to 100 per cent of tuition costs and some provide additional subsidies for room and board or other living expenses. 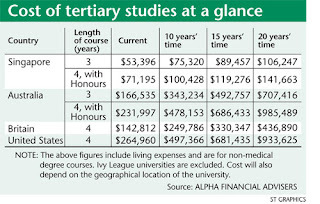 Bursaries are grants for financially needy students, and the amounts range from $750 to $6,000. Lastly, remember that it is always prudent to start education planning as early as possible so as to enjoy compound returns and to help ride out any volatility that erupts along the way. 'The earlier you start, the less you have to save per month,' said Mr Fok. 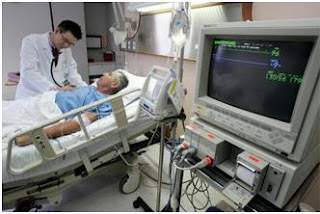 "When medical debts and lost income from illnesses leave families facing a mountain of bills, bankruptcy is their last chance to stop the collection calls and try to put their lives back on track.," noted Elizabeth Warren, Leo Gottlieb Professor of Law at Harvard and a study co-author. Professor Warren, a leading expert on personal bankruptcy, went on: "Bankruptcy costs these families substantial assets and deep personal shame. A person may recover physically from a medical problem, but millions of Americans will never recover financially from their encounters with the health care system." Health insurance offered little protection. Families with coverage faced unaffordable co-insurance, deductibles and bills for uncovered items like physical therapy, psychiatric care and prescription drugs. And even the best job-based health insurance often vanished when prolonged illness caused job loss - precisely when families needed it most. 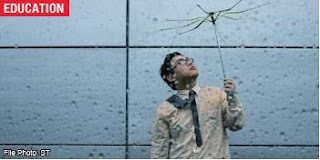 Too often, private health insurance is an umbrella that melts in the rain." However with proper financial planning which provide comprehensive, lifelong coverage to all. It is able to end the cruelty of ruining families financially when they get sick. Singapore is expected to have 13,000 new cancer patients a year, up from 9,763 cases in 2007. 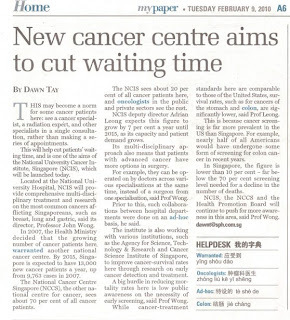 National University Cancer Institute, Singapore (NCIS) will be launched to deal with the growing demand. 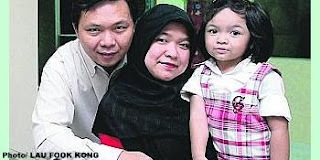 MS LINDA Kamis, 36, and her husband, Mr Roslee Abdullah, 38, bought a five-room HDB flat in Pasir Ris in 2004. One of the first things Ms Linda did was to buy a home insurance plan that covered the value of the flat's renovation and contents. The annual premiums for the NTUC Income Home Insurance policy are $60. The sums assured for renovation and contents are $50,000 and $30,000 respectively. Her decision to do so was affirmed a few months later, when a friend had to make a claim on a similar plan because water from a burst pipe leaked into her flat, damaging the furniture and parquet flooring. The insurance payout helped to cover the costs of repairing the flooring and buying new furniture. Ms Linda notes that her plan offers comprehensive coverage in that it provides some compensation for loss of keys and medical expenses for accidents. She also has fire insurance, which covers the structure of her flat, and a mortgage policy. Its about economy of scale. When you sign up for healthcare coverage, you join a group of other people to combine your healthcare purchasing power. Your insurer covers the whole group, rather than individuals, so everyone shares the cost of staying healthy. When I asked investors why they are investing, most will give me a strange look and answer: 'To maximise the returns of my money, of course'. This is exactly the mindset that will cause you to time the market, to try and beat it so that you can get maximum returns. Sufficiency is the opposite of greed. We should invest for the returns we need so that when the time comes for us to use the money, like retirement or funding our children's education, we have enough. Understanding this helps us not to be greedy or take unnecessary risks, to stay invested and keep investing. This is because, all we need is the average long-term returns of the market, which more than a century of history has shown us that it is always there regardless of any crises. But it is difficult to achieve this mindset because of the sin of greed that is inherent in us. If we have enough rainy-day fund to tide us through an emergency, if we are not overly in debt, if we are good in our work and earn a reasonable good income, if we keep our expenses low and are able to save 10 per cent to 20 per cent each month, if we are not investing all our money away, if our insurance is well done up to protect us against all life risks, if we are physically healthy, if we have quite a long while before we need the money we invested, the ups and downs of the market means nothing to us. We will be able to stay invested because our foundation is strong. The problem with most investors is that we don't spend time doing a thorough financial audit and jumped right in and out of the market because someone invoked our greed or fear about an upcoming trend or financial holocaust that his 'crystal ball' is telling him. As an investor, we need an adviser that is experienced and competent to instill that sufficiency mindset, helps us know what we really need and assess our financial foundation. He will then put together a suitable investment portfolio that will deliver the returns we need over the long term but yet not goes up and down beyond what we are psychologically and financially comfortable with. This is so that we can stay invested and not bail out halfway, because we feel like vomiting! He must have the moral courage to stay and hold on to us throughout the entire investment ride. Unfortunately, over the last 12 months, I have come to know of many advisers who switched to selling properties, land banking products, insurances because 'this is a bad time to be selling investments'. They bailed out before the clients do! I find having a strong adviser the most important of the three but yet the hardest to achieve. Over the past months, we have been looking for advisers who are competent and passionate to do good work, to grow our team. Candidates will come and say how passionate they are in providing good advice to clients but when they realised that they couldn't make big bucks fast in a firm that doesn't take commissions, they find a nice way to exit from the interview. That is how much passion costs! People must realise that if you truly want to do good financial advisory work for the client, you cannot make big bucks fast unless you take big fat commissions and incentives at the expense of the clients. You will only make a comfortable income after some years when you have proven yourself to be competent and can retain the trust of your clients. But I guess, not many have that patience to wait. 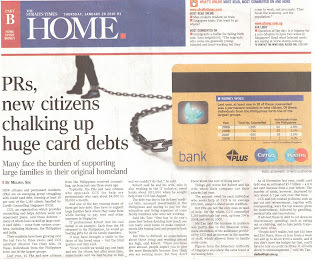 So it was an uphill task for us, especially when the banks are recruiting again. The markets have generally risen over the past 10 months. Gauging by the crazy prices of properties in Singapore, everyone seems to be bullish again. But please do not let what we have gone through in the last 12 months go to waste. Be equipped with the three 'S' before we jump onto the investment bandwagon again. The writer is CEO of Providend, Singapore's sole fee-only independent private wealth management firm. At times, investors may be tempted to follow investment trends and buy the latest financial products. But it is not an advisable way of financial planning. These flavour-of-the month distractions could divert your attention from achieving your financial goals. To ensure that you stay on track, remember to keep in mind the basic principles of financial planning so that your investment plan can help deliver your financial objectives. Be realistic about the goals you want to achieve. If you cannot afford to buy your dream house within a short time frame without taking undue risks in your investments, extend the time period for building your wealth to purchase the property. You should also be realistic about investment returns and inflation rates. If returns on global bonds have been approximately 4%-5% over the long term, do not over estimate the figure. Access your financial situation and future needs each time you are considering a financial investment, to see if you are willing and able to take risks. You should determine the type of investments based on your tolerance for risk. For example, if you can take some investment risks, you may consider investing in more aggressive products like single country and single sector funds. It is important to have life protection regardless of the life stage you are in. Basic life protection plans such as whole-life or term insurance plans can help to provide financial protection in the event of death, disability or critical illness. Wealth protection is important, especially if you are saving for your own retirement. Capital protected products, good quality bonds and endowment plans tend to be lower risk, so they can help to preserve your wealth. Diversification helps to spread risk. Different asset classes like equities and bonds perform differently. For example, equities have low correlation to bonds. By spreading your investments across different asset classes, you are less likely to suffer a significant drop in the value of your investments should a particular asset class fare poorly. Take into consideration your current life stage and your appetite for risk when choosing your investments. Generally, as you approach retirement, you should reduce your exposure to risky investments. Review your financial plan regularly to check if your plan is on track to meet your objectives. Once a year is generally recommended. You should also review your plan if there is a change in your financial situation or as you enter a key milestone in your life, for example, getting married or having your first child. WHILE 2009 is often remembered for the unexpected economic rebound, the period also saw significantly higher volatility in the foreign exchange markets as the selldown in stocks swiftly hit the currency markets full-force. This year, as confidence in the economy grows while market fear ebbs, money is once again moving out of safe investments and back into emerging markets, which are getting out of the crisis more quickly and stronger than the mature economies. In this environment, BT polled four strategists on the regional currencies that are poised to outperform, and the key factors that will drive FX movements here in the next 12 months. The Indian rupee, Indonesian rupiah, Philippine peso and Malaysian ringgit. The Asian economies are seeing large fund inflows as global economic recovery continues, while major central banks are not withdrawing liquidity in a big way just yet. But Asian central bank's mercantilistic tendencies will remain a hindrance for larger currency appreciation. Beyond this period and for the rest of the year, the threat of inflation and how central banks handle this threat, even as the sustainability of the global recovery remains questionable, could be the major factor in picking currency outperformers in Asia this year. In the shorter of the two time horizons, we think that the Indian rupee, the Indonesian rupiah, Philippine peso, Malaysian ringgit and Indonesian rupiah are likely to outperform currencies that have held up well through most of the crisis such as the Singapore dollar. For this time-frame, our top picks are the Indian rupee, Korean won and Indonesian rupiah. For the second half of the year, the key to relative currency performances would be determined by the pace of the global recovery and how Asian central banks handle the likely rise in inflationary pressure. 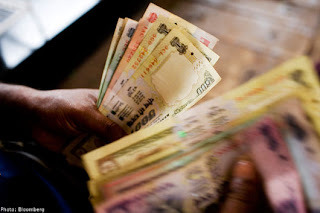 We believe that the diminishing incentives to intervene in the FX market in the face of rising imported inflation and its low dependence on exports for growth would still make the Indian rupee a good currency to hold. India needs a stronger currency to curb food and imported inflation. 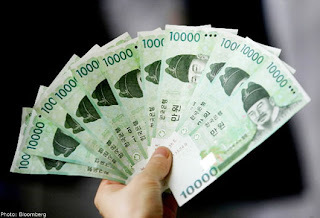 Some inflation could also be supportive for the Korean won. The Bank of Korea is arguably the most credible inflation targeter in the region. It is likely to react aggressively to any threat of inflation with rate hikes and allow currency appreciation. Singapore dollar, Indonesian rupiah, Indian rupee. Based on the data, the markets with the largest current account surpluses as a fraction of gross domestic product (GDP) were Malaysia, Hong Kong, Singapore, Taiwan and China and these are the currencies that have a tendency to track the dollar on a level basis, such as the Hong Kong dollar and the yuan, or the Singapore dollar, ringgit, new Taiwanese dollar which tracks the US dollar index fairly closely. We expect China to resume its appreciation in the second quarter based on our expectation that the US and other central banks will start their exit strategies in Q3. Within this group, the Singapore dollar was the best performer for the medium term, and remains our top pick going into 2010 because Malaysia, Taiwan and Thailand were visibly more concerned about export competitiveness during the recovery. Singapore's exchange rate policy is also expected to return to an appreciation stance in the second half of 2010, in line with the appreciating yuan policy and the exit strategies worldwide. The two currencies - the won and the rupiah - that recovered most after the global crisis also happened to be the ones that suffered most. Between the two, we prefer to put our bets on the rupiah in 2010. Indonesia embraces a weak US dollar more than Korea. The former uses this to support the rupiah during periods of weakness, while the latter complains about the appreciation pressures it exerts on its won. Indonesia's lower loan-to-deposit ratio also suggests more scope to boost domestic demand than Korea. The rupee is likely to perform better than the Philippine peso. Although India has a current account deficit versus a surplus in the Philippines, the rupee should be supported by capital inflows and higher growth. Bets on the peso, which is supported by a strong international liquidity position, will be muted until we get a positive outcome at the Philippine presidential elections scheduled for May this year. Korean won and Taiwan dollar. Some of the key drivers we see in the new year include the US Federal Reserve's views on the market and the risk of Asian bubbles. In particular, Asian policymakers are showing serious concerns that new bubbles are being blown locally, but have focused on local regulatory measures, such as well-targeted taxes, control of bank lending and capital requirements for now. Our focus in 2010, therefore, will likely be on policy signals. The other drivers are reforms in financial regulation and the rise in sovereign risk. We forecast that the Korean won will be the top-performing Asian currency as it remains sufficiently undervalued against its regional peers and export competitors. The Taiwan dollar is the standout of the Asian currencies, positioned to outperform on leverage to China, and is a beta play on the global economic cycle if the global recovery extends in the coming months. 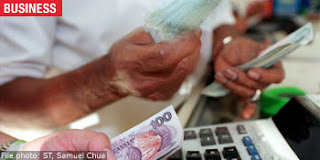 The currency posted a modest performance in 2009, gaining 2.9 per cent against the US dollar, including a 6.5 per cent rally off lows recorded in mid-March. We forecast US dollar/Taiwan dollar to reach 31 in June and 30.5 in December 2010, with Taiwan dollar gains of 3.9 per cent and 5.6 per cent respectively. Korean won, Taiwan dollar, Singapore dollar, Malaysian ringgit. Obviously, continued strong balance of payments dynamics in favour of Asian currencies is a key factor of support for currencies such as the Singapore dollar and ringgit. Meanwhile, the cross straits economic integration could lend additional support to Taiwan, while economic and political stability and improved fundamentals in Indonesia should benefit the rupiah. Thirdly, the weather will play a more important role this year, as it leads to higher food prices. Indications from climatologists are that the weather in 2010 will mainly be warmer and drier and this is less favourable for crops/planting. Given that policy makers are reluctant to tighten monetary policy at this stage of the recovery, given that growth conditions are still soft, we think the likely policy reaction will be to use the exchange rates to lean into such imported inflation pressures. In Malaysia, the government is looking to divest state-owned enterprises, and the fiscal deficit is likely to surprise on the upside. But for foreign buyers biting into the divestment story, the currency should do well. Aside from Malaysia, India is also looking to divest assets and this could surprise on the upside. One additional theme that will be slightly negative for Asia is the onset of a weaker euro, brought on by growing fiscal concerns in Greece, Spain and Ireland. This could limit the pace of appreciation in Asian currencies, but would be countered by the expected appreciation of an undervalued Chinese yuan. Top reasons for indebtness were pay cut and retrenchment (job-related problems), followed by gambling, medical bills and renovations. For those who are in debt, advice has been given to cut down on discretionary spending like eating out or clubbing and to take public transport more often. With better management, you can cut down on relying on credit facilities. Cancer, Heart Attack, Stroke. Watch a movie of three people who have critical illnesses, as they tell their story, and why they wish that they had a critical illness insurance policy before they were diagnosed.